The final stage of my highly enjoyable road trip around the Danish Jutland Peninsula brought me to Silkeborg. I’ve already admitted that my advance knowledge of Aalborg and Aarhus was lacking but this place was a completely unknown quantity. Yet as I drove into town I noticed several tour buses and large groups of tourists wandering the streets, so I was interested to learn what was bringing them to the town. After an almost painfully early start and breakfast in Aarhus I needed to get my skates on to make it to Silkeborg for a 0900 meeting with a representative from the local tourist board in their office. It’s only 50km but I had been told there could be more traffic at this time of the day. In the event it was a smooth and very picturesque drive on smaller country roads – in fact this was the kind of motoring I should really have been experiencing on this trip. Making another mental note to return and have more time to cruise around the Danish countryside I made the most of the hour or so behind the wheel. It was hard not to metaphorically kick myself for passing so many fabulous photo opportunities – and especially places where I could film from the air with my quadcopter – but one consolation was that the skies had turned grey and the light was poor this Thursday morning. 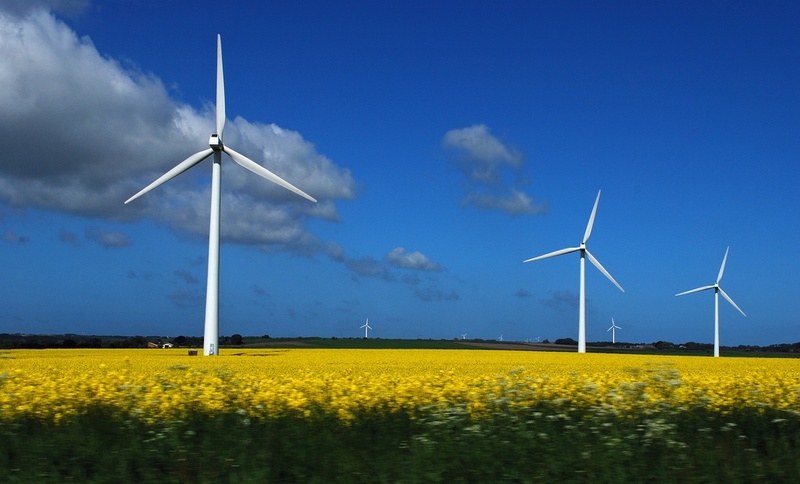 Back home in Norway there is a lot of opposition to the building of wind turbines to generate electricity – the main argument being that they spoil the countryside. There are so many in this part of Denmark that even after just a week I was used to these giant constructions appearing on the horizon at regular intervals. I actually find them quite stunning, but I do appreciate that the landscape is changed by their arrival. Still, it seems a small price to pay for greener electricity and anyone opposed to the idea should at least come and see what they look like. 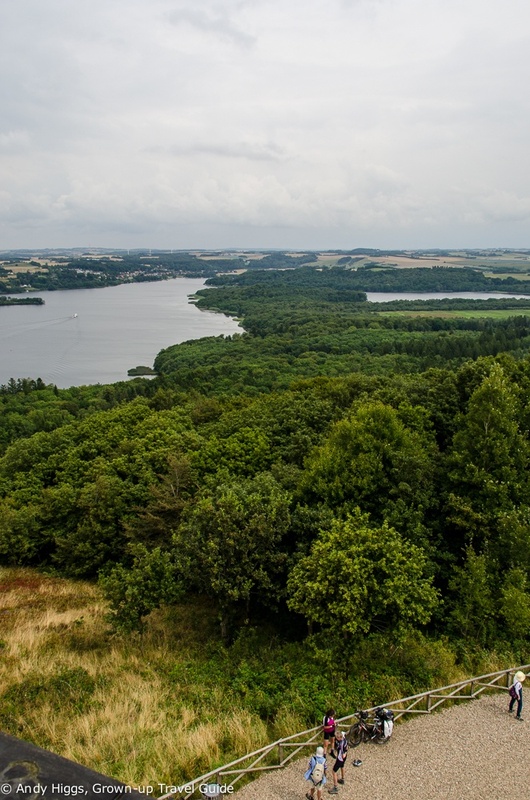 Silkeborg is located in a region known as the “Lake District” – a sparsely populated and heavily forested area dotted with rivers and, well, lakes. The town has some 43,000 inhabitants and was built around a paper factory that was constructed in 1844 on the banks on Denmark’s longest river, Gudenåen. Birgit from VisitSilkeborg brought me up to speed: the town is a popular base from which to explore the countryside and cruise the river. But it is more than that – it has long been home to an artistic community including the renowned Danish artist Asger Jorn. 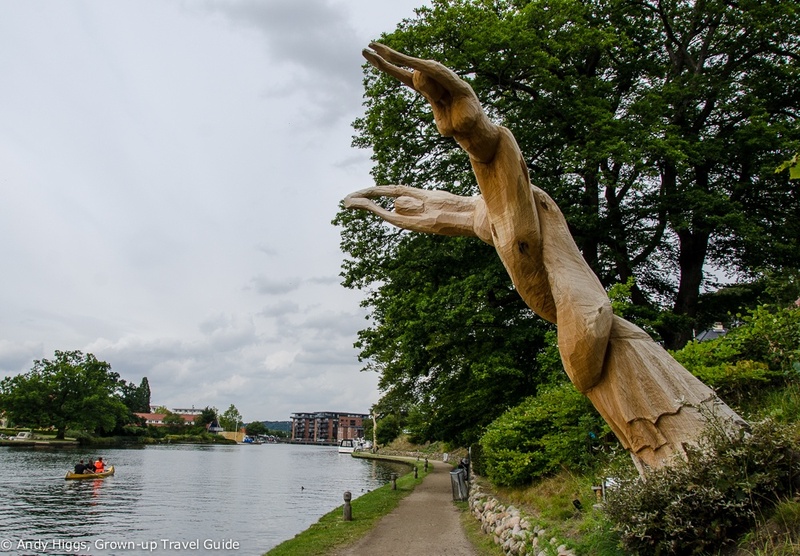 Silkeborg Museum contains the virtually intact remains of Iron age ‘Tollund Man’, there is a large aquarium and animal park, a growing number of upmarket spas and even more up my street, a thriving restaurant scene. 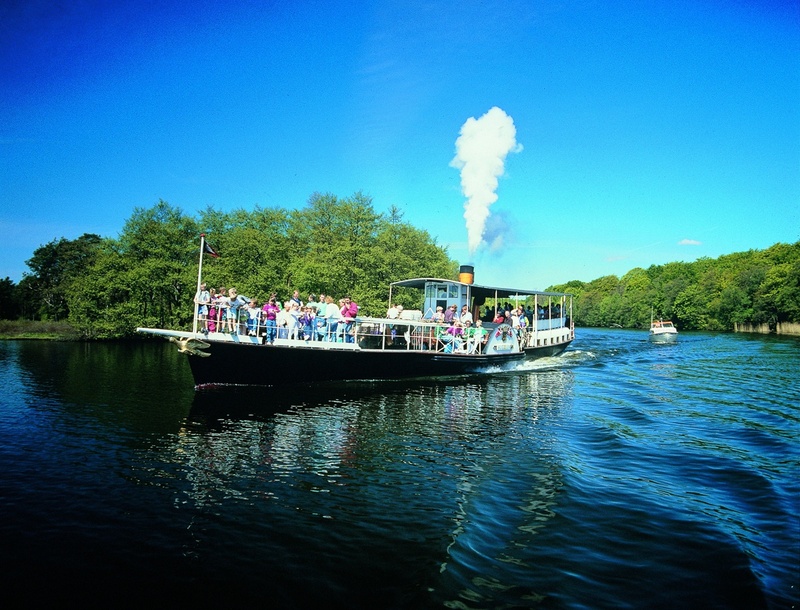 Perhaps the most popular activity in Silkeborg is to take a cruise aboard the oldest coal-burning steamer ship still in operation, Hjejlen (don’t ask me to pronounce that, please). 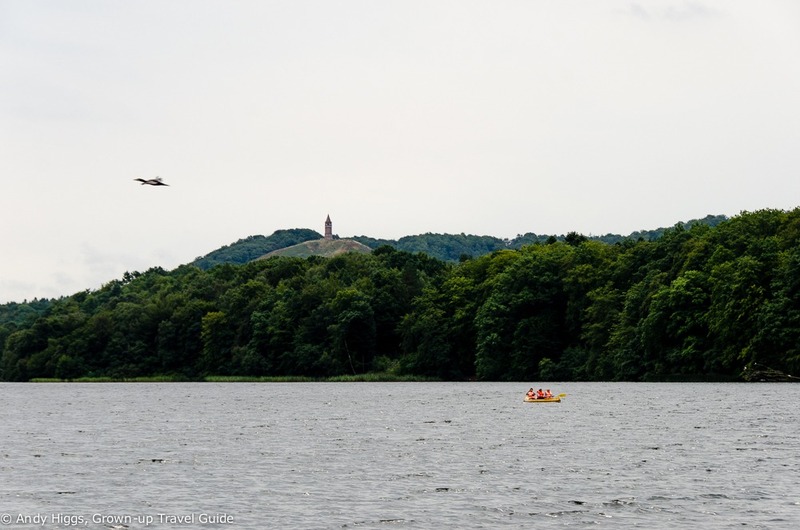 There are various options offered by the shipping company including a hop-on, hop-off ticket but the main draw is to take Hjejlen to Himmelbjerget (Sky Mountain) and usually another type of boat back as the ‘nostalgic vessel’ only runs at selected times. This was my plan, too – I had a ticket for the 1000 departure. I took my place in the throng of visitors waiting for the boat to arrive and counted 6 different languages being spoken in the crowd. We seemed to be a mix of families, tour groups, a few solo travellers and a bunch of steamship geeks. As the departure time came and went it became clear that there was a problem with the vessel and an announcement was made that if they were unable to fix it a replacement would be brought in. Fortunately the issue was resolved and boarding began – it would have been disappointing to miss out on experiencing this old beauty and to have had to use a ‘regular’ ship instead. 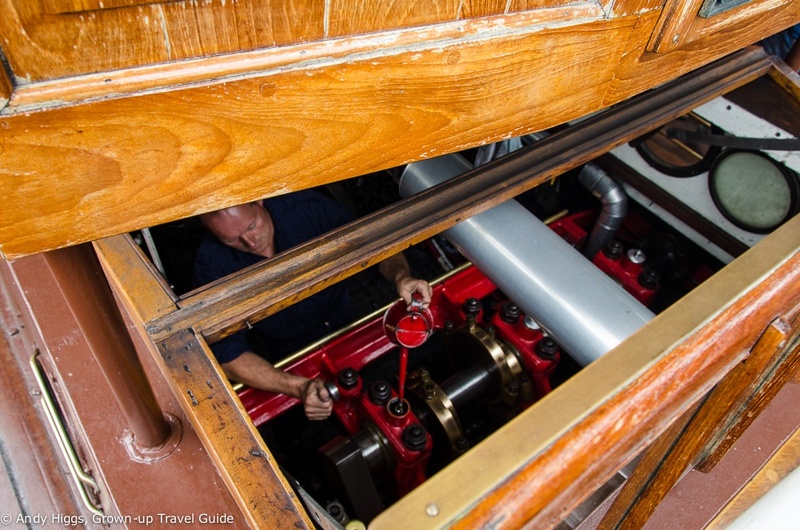 Still using the original engine from 1861, she’s an impressive reminder that machines were once built to last. We must have been nearly at capacity when that engine roared into life, steam blasted into the air and the horn signalled the start of our journey. I was lucky enough to snag a seat outside which was great for the view although it was a chilly experience as the weather was far more autumnal than it had been earlier on my trip. It was a relaxing and smooth trip lasting about an hour and a half – you can pass time with a drink from the bar or just sit back and take in the views which was my strategy. After a few stops en route we emerged into Lake Julsø and Himmelbjerget hoved into view. 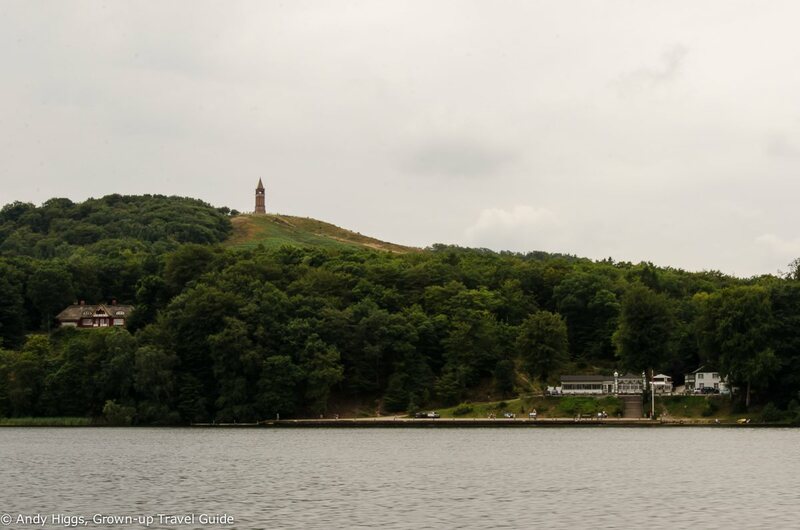 This hill is actually one of the highest points in Denmark – or at least the tower on the top makes it so. Coming from Norway (or indeed most places) this 147 metres is more likely to raise a smile than impress, but the views are spectacular given how flat the surrounding countryside is. The King of Denmark bought the summit from its private owner in 1840 to prevent his exploiting its popularity by charging for access and the meetings on the hill continued each year until over 6000 turned up in 1841. 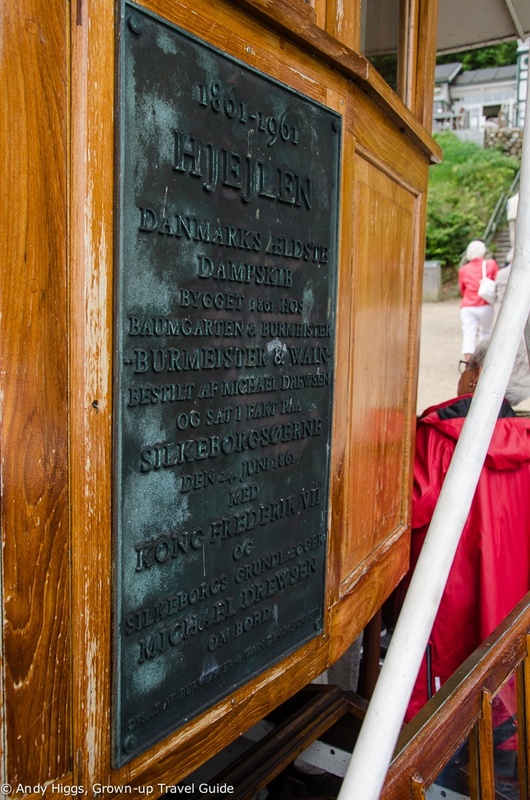 The next benefactor was the owner of the paper factory in Silkeborg, Michael Drewson, who formed a committee with the aim of raising money for the construction of a tower. 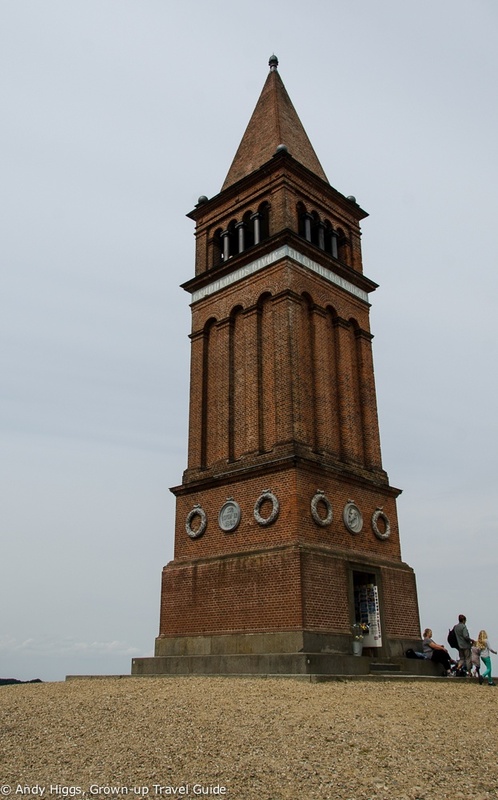 It took seven years before they had enough funds but the 25-metre tower was inaugurated in 1875. Further decorations were added in 1891 but since then it has remained unchanged. The walk from the jetty up to the tower is very scenic and well worth the effort. While steep in places it’s hardly Mount Everest, and visitors are rewarded with colourful fields of heather and excellent views on the way. 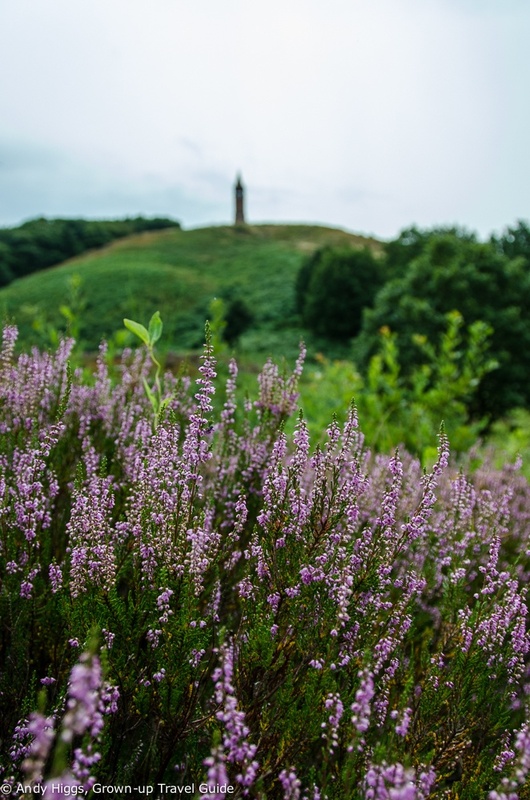 There’s a nominal donation to climb the tower from which you can see far into the distance all the way back to Silkeborg and most of the Lake District. On the way back I stopped for a drink at Hotel Julsø – no longer a hotel these days but a fine restaurant still operates – while waiting for the next boat back to Silkeborg. This was one of the regular vessels in the fleet but pleasant enough. It had been an enjoyable excursion yet once again time was not on my side – with most of the other attractions closing at 1600 it became clear that I wouldn’t be able to see everything. First I had to check in at my hotel for the night, which was a ten-minute drive from the town centre. I struggled a little to find the entrance as it looks more like an office building and is not that clearly marked, but once I did I received a warm welcome at reception and the key to my room on the fourth floor. There is a bit of an institutional feel to the place but in a modern, Scandinavian kind of way. Service is limited to basically office hours but my room was very comfortable with everything I needed. Once again the double bed was just two singles pushed together, which wasn’t a problem as I was on my own but wouldn’t be ideal for a couple. Unless you like your space, I guess. 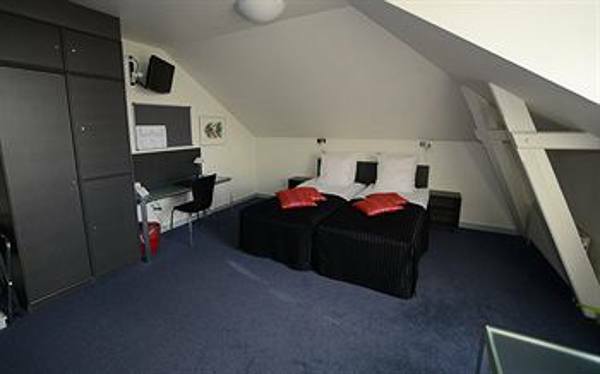 Anyway the half I used was comfortable enough – other features in the room were a TV hung a little high on the wall, a desk and separate seating area, electric kettle, hairdryer, telephone and radio. The bathroom was small but practical with a good shower. The breakfast was a bit of a revelation – a huge spread of cold meats, cheese, fresh bread, pastries and fruit. Definitely a highlight of my stay and again, I wish I could have had longer to enjoy it. 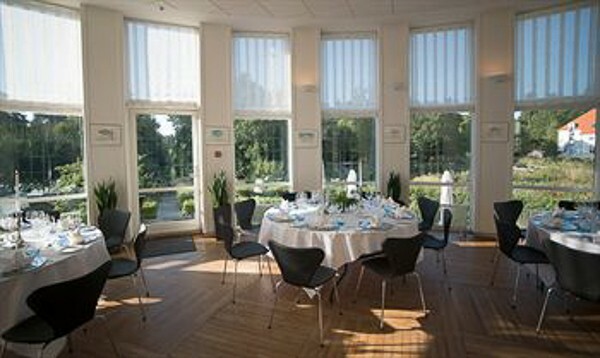 The Vejlsøhus Hotel & Conference center has a very green profile – in fact it is “the only ecology certified conference centre in Jutland. This ethos runs through the hotel’s operations, from sourcing local products to reminding guests to think about their habits. 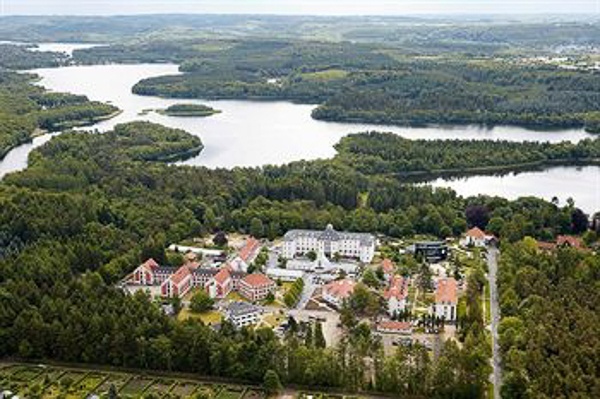 It’s a really nice place to stay in Silkeborg and one I would both return to and recommend to others. Even though the distance between my hotel and this museum is short, I was already against the clock to make it before closing when I hit a rather persistent traffic jam through the centre of Silkeborg at what was presumably rush hour. Happily it did eventually get moving and I found a parking space near the museum. I entered the building with half an hour to spare – not enough time to do the place justice but at least I got to see its most famous exhibit. 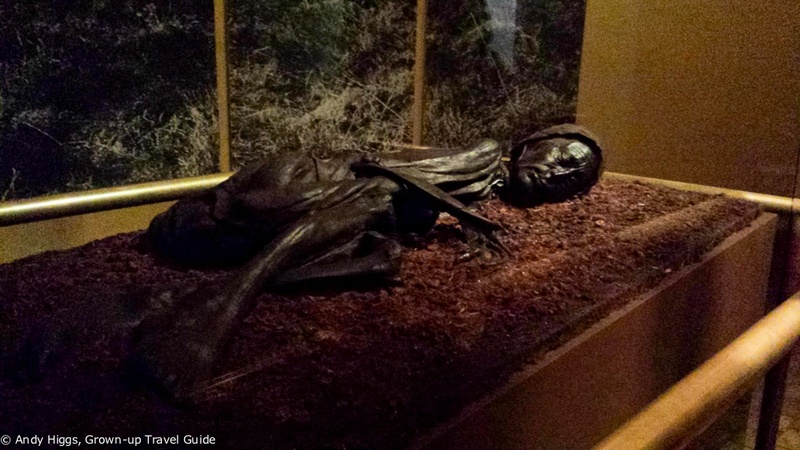 “Tollund man” is one of the best-preserved human bodies from prehistoric times yet discovered anywhere in the world and the story is quite something. In May 1950 a body was uncovered in a peat bog around 10 km west of Silkeborg. Since it was barely decomposed it was assumed that it was the remains of a murder victim – and the first theory was that it could be a schoolboy who had gone missing in Jutland. However when the police heard that the remains were deep in the bog and there were no signs of recent digging, they realised that the corpse must have been there some time. Viewing Tollund man is a moving and slightly eerie experience – and an essential one when in town. After the museum closed its doors I realised quite how hungry I was and resolved to find a restaurant and fast. 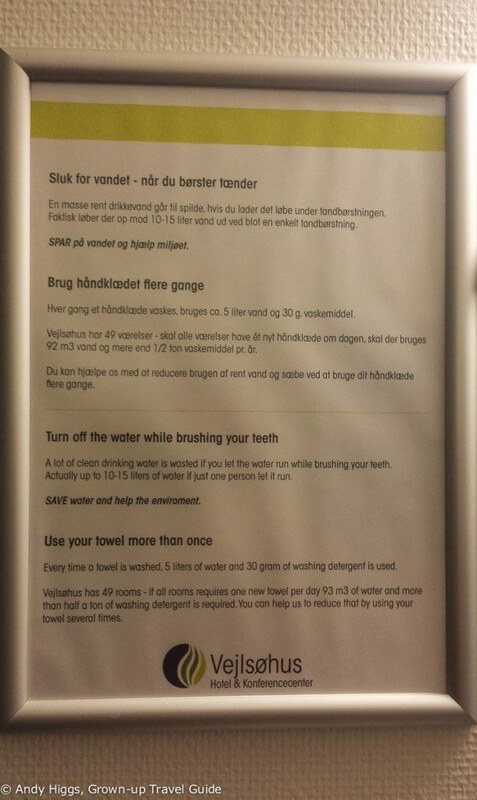 I had run out of time for any more attractions in Silkeborg anyway so this seemed like a good plan. A little research piqued my interest in Traktørstedet Ludvigslyst, a short drive from town along the course of the same river I had cruised on earlier in the day. Not only does this place offer a short but exciting menu that changes according to the raw ingredients available, but said raw ingredients are of the highest quality and organic too. 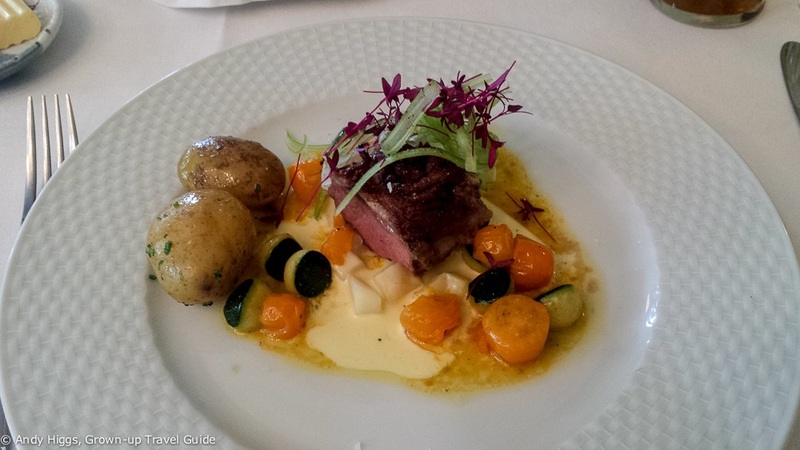 And it is currently the number one restaurant in Silkeborg on Trip Advisor too – with good reason. You can come here for breakfast or dinner, and I was a little early for the latter but was invited to wait with a drink until 1800. I enjoyed two wonderful courses including one of the best lamb dishes I’ve been served in recent years. Service was expert yet friendly and low-key – just how I like it. Traktørstedet Ludvigslyst is very popular and filled up fast when I was there – with guests arriving by car, bicycle and boat (there is a jetty a stone’s throw away). It was a fitting way to end my time in Jutland – and an unexpected gourmet delight for my last night. The next morning I drove through stunning countryside in perfect weather once again – the clouds were gone and the sun was blazing. As I returned my hire car to the rental office at Aalborg airport, I could not shake the thought that I had missed out on a lot of wonderful scenic routes due to having such a packed programme – but on the other hand this week had given me a perfect introduction to a fabulous area to which I will definitely have to return and explore in more detail – and more slowly. The Jutland peninsula lends itself perfectly to a road trip; with so much to see, do and enjoy in a compact area you should consider following in my tyre tracks for your next short break.